Single level ranch style home built in 1999. 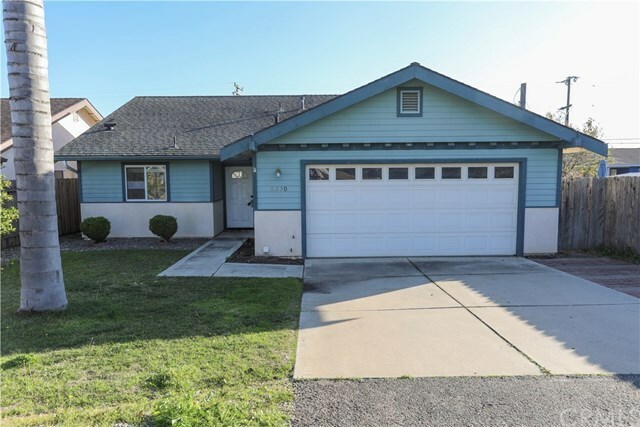 Home features 3 bedroom with 1.75 baths and a 2-car garage. Open kitchen and dining area to living room makes this an ideal area for entertaining. Master bedroom, master bathroom vanity separate, toilet & shower have own area. 2 nice size bedrooms off of hall way. Good size back yard with patio area and alley access. Close proximity to the town of Oceano and beach. Oceano Dunes is one of the last beaches in California that you can still drive on. Bring you RVâs, dune buggies and ATVâs. Directions: Hwy 1, to 22nd, between 22nd and 23rd on Beach Street.